Ahhh... leopard love. First, let's just admit that we (and by we I mean everyone living today) seems perfectly okay with the fact that we call all spotted fabrics "leopard" even if it's clearly a cheetah print. But I digress. We can't stop loving this mersmerizing print and adding it to our closets and our homes. But it's time we had a sit down. Yes, come closer and listen in... I'll offer you the wisdom of my uber stylish grandmother. Are you ready? Here it is: good taste is often evidenced by great restraint. That means this: cool it, sister. 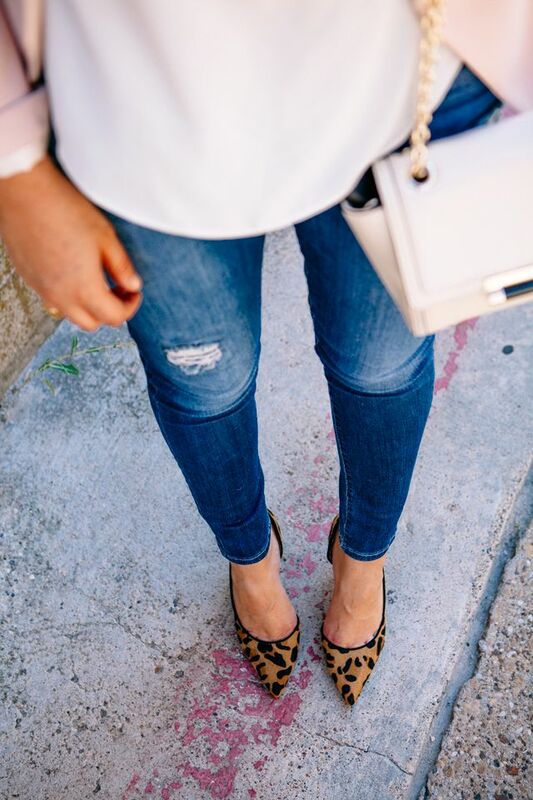 No head-to-toe leopard. By all means resist the urge to don a belt, shoes and a matching hide on hair leopard bag. Let not your living room look like an issue of National Geographic gone awry. It's just... too... much. Leopard (or cheetah) done well is done is moderation. Restraint, restraint, restraint. Carry (or accessorize with) one outstanding piece and let the rest of the outfit (or room) be the canvas upon which it shines. The best rooms usually feature an ivory sofa and a "wow" moment via a Scalamandre pillow. The best street style looks showcase the infamous foldover bag by Clare V. Less in this case is exponentially more. It's young and fresh and doesn't take itself too seriously. After all... it's a faux leopard accessory, meaning you've already demonstrated a tendency towards having fun. So let the star accessory shine and let the rest of your fab outfit or room be the chic grounding those accessories deserve.